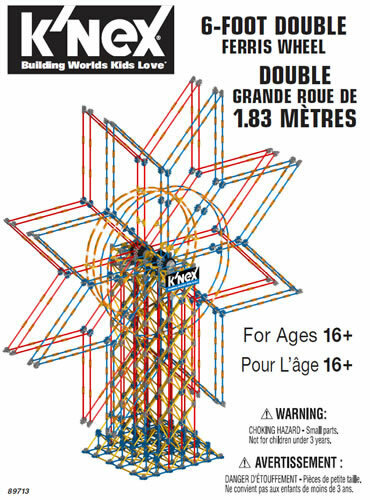 K'NEX is a hugely successful Rod and Connector construction system. A major part of its success is that many thousands of different models can be built with only a very limited number of different rods and connectors. ...and the second photo shows the eight standard classic K'NEX connectors: 8-way, 7-way 3D, 5-way, 4-way, 4-way 3D, 3-way, 2-way and 2-way straight. 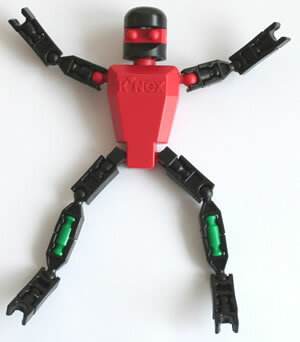 In addition to "classic" K'NEX, the smaller-scale Micro K'NEX is available. 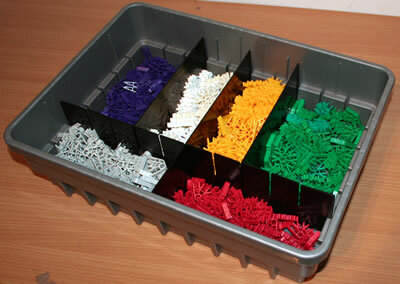 ...and the eight standard Micro K'NEX connector types: 8-way, 7-way 3D, 5-way, 4-way, 4-way 3D, 3-way, 2-way and 2-way straight.